3D printing is often a process where you may need to choose if you either need something printed fast or with higher quality. The larger the object you want to 3D print and the higher the quality you want, the more time it will take for the 3D printer to finish the job. Larger maximum quality prints can easily take from a few hours to even a day, though most of the time you will most likely be printing smaller objects and with not so high quality, so that they will need from a couple of minutes to an hour or two. In-house 3D printing is often also used for the so called process “rapid prototyping” as it allows a product design to be printed in relatively short time, and then have it inspected and maybe tested. If there are some corrections required they can be done to the model and then have a new print with the applied change and so on. With a 3D printer available at your disposal corrections can be made and applied much faster than having to send the 3D model somewhere to be made physically and sent back to you. Because rapid prototyping (as the name implies) and because it actually makes for a much faster prototyping of something with help of a 3D printer, while you are designing it, than it would take otherwise, some people believe that 3D printers are very fast. 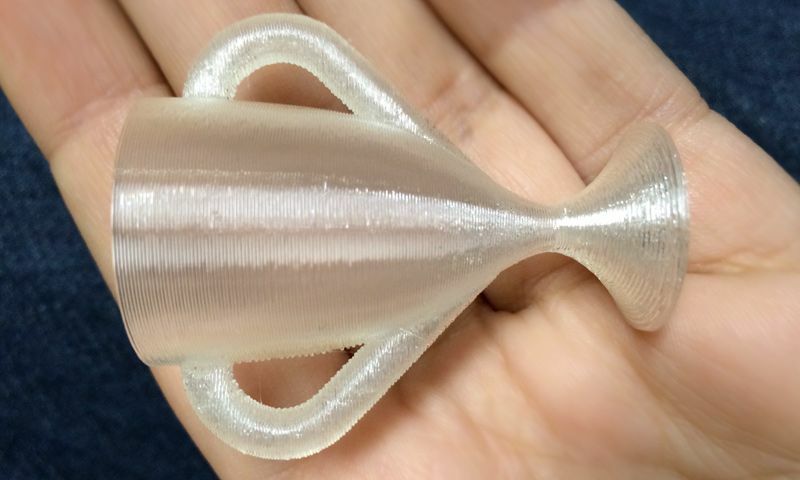 Yes, they can be fast for small objects, but still printing larger and more complex designs with higher quality does take quite a lot of time. So be prepared to wait and it is not a wise idea to just leave your 3D printer unattended while it is printing something for hours, especially when you are just starting. When you get more experience and you are sure there should be no potential problems you might be more confident, though still it is wise not to leave the printer do something while there is nobody around for long periods of time. There are three general levels of detail when talking about the most common FDM/FFF consumer 3D printers, these depend on the thickness of the layers that will be used to build the physical object from the 3D model you have. These are with a thickness of 0.1mm, 0.2mm and 0.3mm (other values might also be available) and the thicker each layer is, the faster the 3D print will be ready as you will need less layers of thermoplastic material to make it. However the thinker the layer height you use, the lower the resolution and the detail level of the final object will be. As I’ve already told you – faster speed or higher quality, you can’t have both at the same time. To get an idea on how the final 3D printed object will look like with the settings you have chosen in the 3D printing software (the slicer) you can just hit the Preview button and the program will try to estimate how long it will take to print it as well as will provide you with good estimate how the resulting object will look like. The numbers you get are a rough estimate of course, thought they are usually close to the actual ones, so you can use them as a pretty accurate reference. If you need something printed faster, you can just change the settings and Preview again to see if your changes were enough to speed up the process. 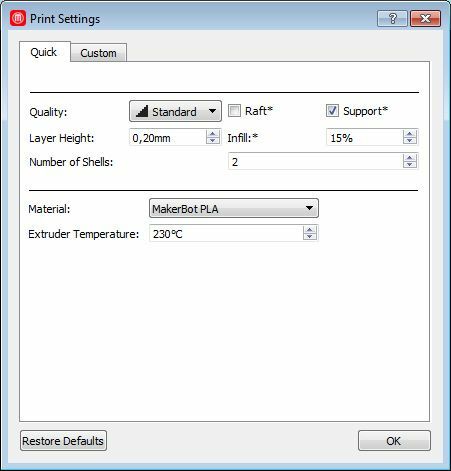 Even though the resolution is pretty much the most influential parameter that can result in faster or slower printing time, other parameters such as the use of raft or support material as well as the infill percentage can also affect the time needed. Different 3D printer software may give you different previews of how the 3D printed object will look like, but these usually don’t look as good as the final object will, mostly because you often zoom while in Preview mode. They can still be useful for inspecting how the resulting physical model should look like and if there might be some issues printing it as the preview very closely represents how and where the printing head of the device will move to create the 3D print. 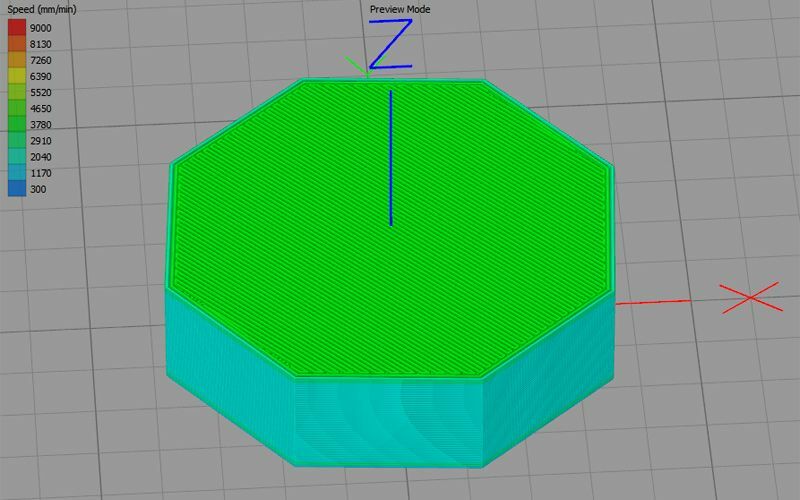 This is the step where you can also find if there are some potential issues with the 3D model you have, it has some problems such as non-manifold edges or flipped surfaces these will cause problems in the print preview even though everything might seem fine on the initial 3D model preview in the software. 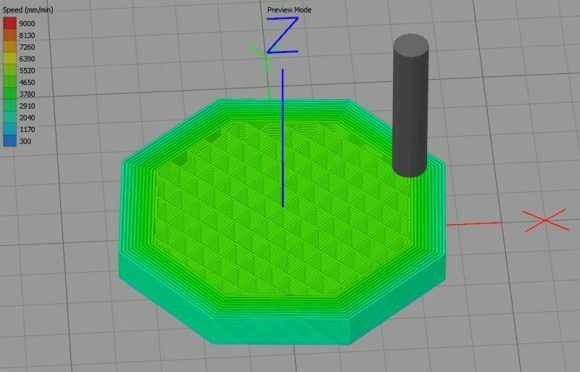 I’ll be talking about the issues in the 3D models you use as a source for 3D printing an object in some of the next part of the series as well as provide some useful tips on how to avoid and fix these. A useful tip for new users in getting to know what their 3D printer is capable of is to choose a relatively simple 3D model of something and print three copies from it, each with a different layer height or resolution/quality. This will give you a very good idea on what to expect from the device when used with different layer height both in terms of quality and in terms of time required for the print. Again the finer the resolution, the more time it takes as the 3D Printer needs to lay double or triple the number of layers it would usually need for the lowest level. Higher resolution makes for better print quality as the lines of each layer are thinner and not as noticeable as when using thicker layers. When you learn what to expect from your device in terms of printing quality and speed with different settings after you use it for a bit, then it will be easier to select the right level of detail you may need. For the moment however going for the medium level is usually a good starting point for novice users as you get a good balance between speed and quality. Though often you might need to use a lower quality initially just to get more things printed in less time as you are experimenting with different things learning about your 3D printer, this is also fine. If you remember in one of the earlier posts of the series I have explained the basic parameters you set for the printing of the model, one of these is the so called Number of Shells, or Outline/Perimeter Shells or just Shells or something along the lines. So I’ll just quote myself on that first and then continue to actually show you what it actually means and how you can control the process. Number of Shells represents the number of outer shells or walls that you are going to have on a 3D printed object before the inside part starts. The outer shells are fully solid while the inside part can be solid or semi-hollow based on the Infill percentage you have set. Normally the default value of 2 or 3 should be enough and you won’t have to change it. 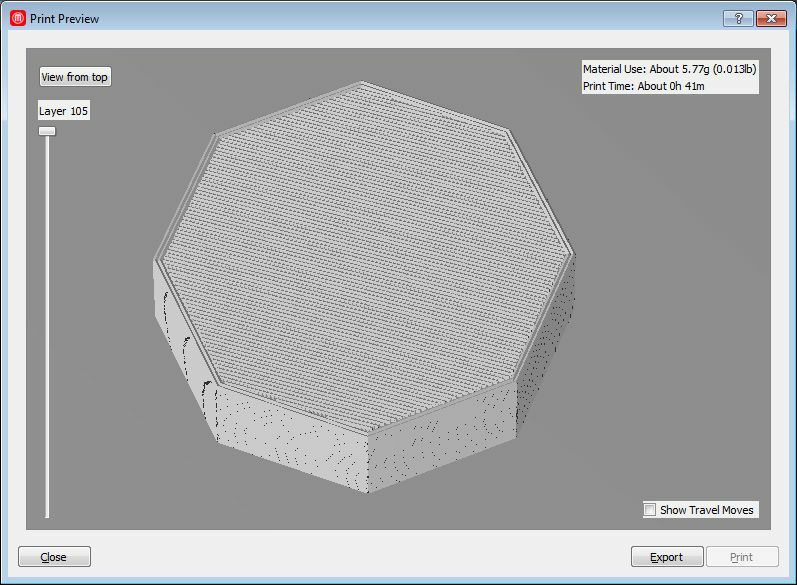 Here you can see a print preview of an example object that is set to print with 10 Number of Shells. This is pretty much pointless and way too overkill, but just as an example on how this setting affects the actual object that you are going to get 3D printed. As you can see there are 10 solid layers on the outside wall of the object and after them starts the infill material structure that is semi solid. This way you are going to get a very thick wall making the 3D printed object very strong and tough on the outside. This is a bit overkill as using just two or three layers as an outside wall should be enough in pretty much most of the cases. 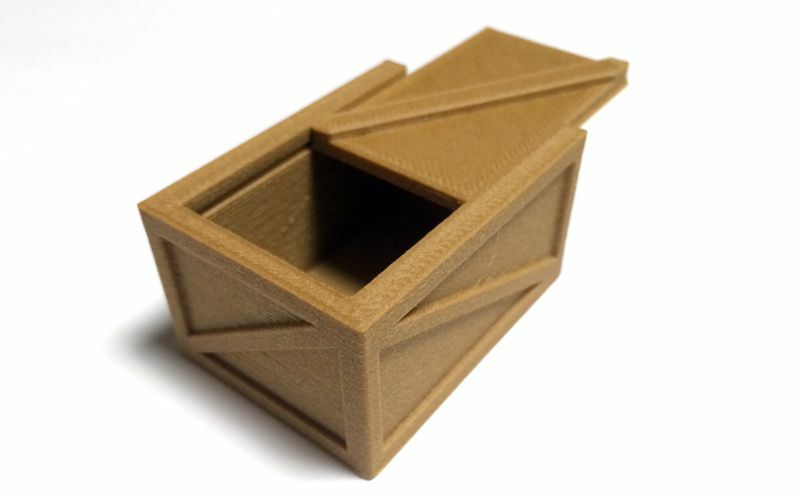 If you go for a thicker outside wall you are going to use more filament material and the printing time required will be increased, so you should do that only when you really need much stronger outside walls. The infill structure inside should be more than enough to provide additional strength and help with the support of the top layers instead of having a hollow insides of the object. 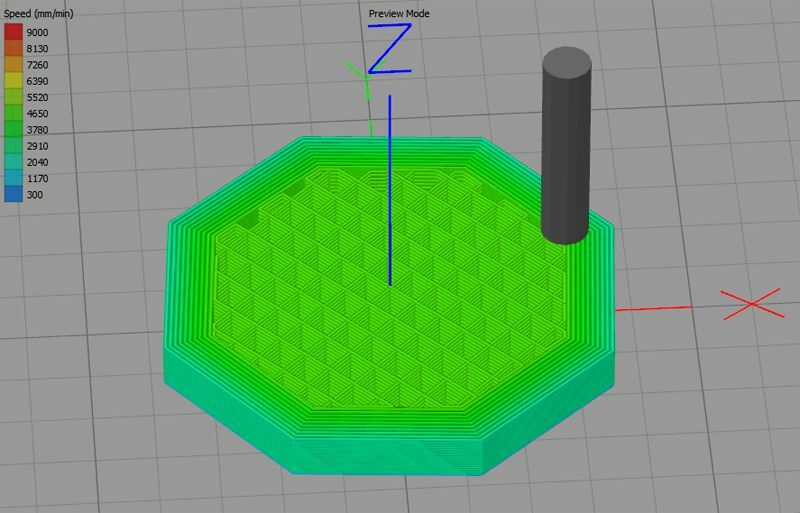 There are multiple factors in play that ultimately decide how much material is needed for the priming of a 3D model and you have control over these with the settings you can change for the printing process itself. Normally the larger the 3D print is going to be, the more material will need to be used, but that may not always be the case. The main factor that can influence that is the Infill parameter, again going to quote myself here. 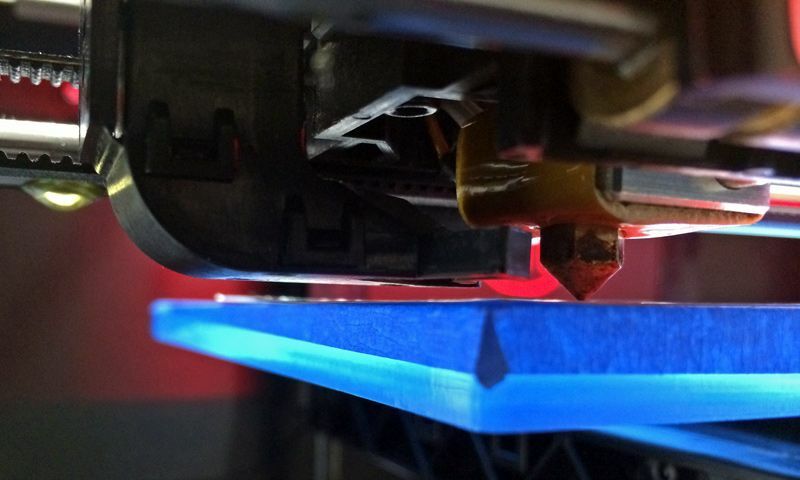 Infill is a percentage value that represents how solid a 3D printed model should be. 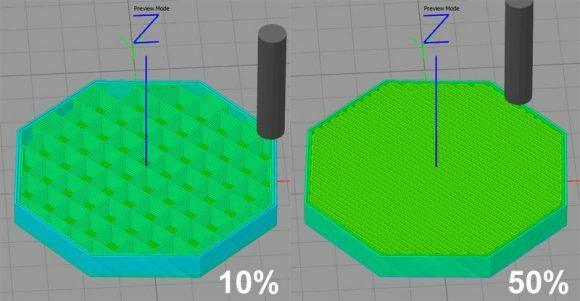 Going for 100% means that the inside of the 3D printed object will be completely solid, going for 20% for example will result in having a semi-hollow structure inside that will be reinforced with hexagonal or square patterns. Most 3D prints are just fine with between 10% and 20% percent infill as it is enough to provide good strength while also reducing the needed material and the extra print time that a fully solid insides will require. The Infill material or the internal structure of a 3D printed object has two main roles – to provide additional structural strength and to act as an inside support material. Because of these two important roles you cannot just go with a hollow insides of a model, or to be more precise you should not do it unless for a specific reason. 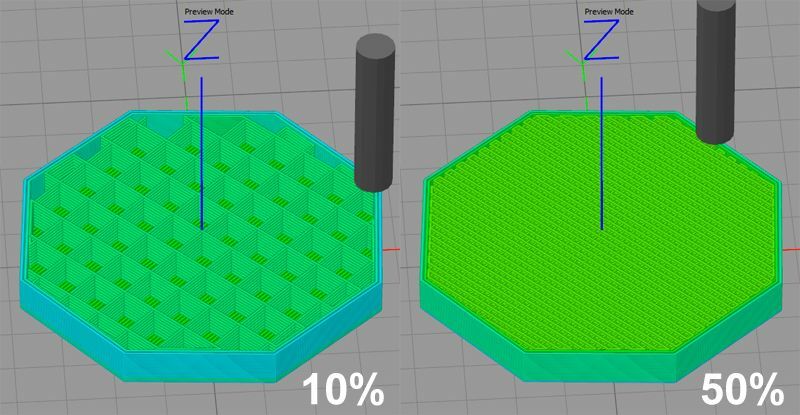 You can remove all of the infill material by just setting a 0% Infill or if you want completely solid model inside you can just go for 100%. Either of the two extremes is rarely used as they can cause some issues, or it will take too much time and extra material, so most of the time you will be just fine with a small percentage of infill like 10% to 20%. On the comparison image above we have a Preview of how the same simple object will look inside if printed with just 10% or with 50%. Using just 10% should still be able to provide decent additional strength while still acting as a decent support material for the upper layers and it would take just about 16 minutes (at maximum quality) to print with about 3.7 grams of material used. 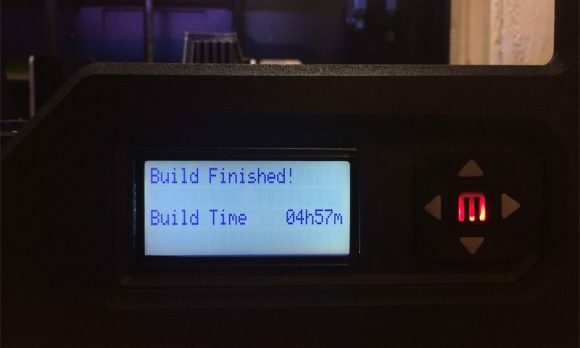 Using 50% is already going a bit overkill, unless you really need it, and will require 21 minutes for printing (5 more) as well as more than double the amount of filament with about 7.7 grams needed. It is up to you do change the Infill setting as you like or need, just don’t go too high or too low without a reasons and most of the time you will be just fine with the recommended small range for that parameter. Of course this is a simple calculation of the cost of the filament you need for a specific 3D print, smaller things are actually quite cheap to print, though larger builds may end up much more expensive. For the total cost of the print you need to also take into account the electricity used for the time it took printing and also the amortization cost of the 3D printer itself. To the total cost will be a bit higher than what you have spent for the filament along, but again it will not be that much especially for smaller 3D prints that do not require a lot of time to print and don’t use a lot of filament. Since you already know how to calculate the cost of the filament needed for a 3D print before you actually even started printing the 3d model you have prepared and you know how to vary the amount of the filament needed via the different printing parameters you should be able to also influence the final cost. This is important if you actually want to start a small business for printing some 3D stuff for example, or just to properly manage your cost and plan when to stock on more filament spools. The Build Plate is the surface on which the 3D printer builds the physical representation of the virtual 3D model, making this one of the most important components of the device. It is really important that you keep your build plate in good shape and even more important is to keep it properly leveled as otherwise you may have a ton of headaches, especially when you are starting up with 3D printers. Different 3D printers come with build plates made from different materials – plastic, Plexiglas, metal or glass and so on. Furthermore the build plate can be covered with additional material that is used to ensure that what comes from the 3D printer’s extruder sticks well on the build plate and remains there until the print is finished. The most common one seems to be either blue 3D painters tape or yellowish scotch-like Kapton tape, though there are other alternatives also available and used. No matter what the build plate is from and what extra cover it may have, it needs to be with clean and with even surface and properly leveled or with other words at just the right distance from the extruder of the printer in order for you to get optimal results and no problems while printing. More than half of the failed prints with 3D printers are caused by problems with the leveling of the build plate relative to the printer’s head, so if you are having trouble 3D printing something this is a good place to start from. Having a good and clean build plate at just the right distance essentially means you get good adhesion of the object being printed to the surface of the build plate. 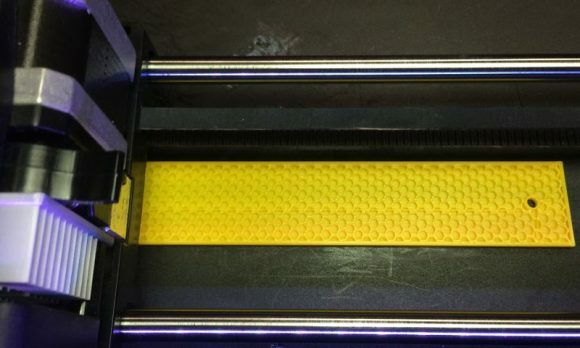 There are some 3D printers that save their users a lot of potential trouble by offering some sort of a mechanism for automatically leveling the build plate, so that the user can forget about this as a possible issue. However most consumer 3D printers come without this automatic function, so you need to do the leveling by hand usually using a mechanical solution of some kind that moves the build plate up or down with very small steps. With the leveling of the build plate you are tuning by hand something pretty precise as the adjustment may need just a part of millimeter to be moved for optimum results. If you don’t level up the build plate properly and instead of it being the right distance from the nozzle of the printing head, they end up too close to each other (essentially rubbing) the results might not be very pleasant. If there is not enough distance between the two the printing head may actually damage the build plate by scratching it or even breaking it in some rare cases. So you might want to avoid that at any cost, the less problematic outcome will be it just tearing the painter’s tape that is placed on top of the build plate. In this case the filament that is supposed to be coming out of the print head will not be able to stick to the build plate as there is just not enough distance and it can either jam up the extruder (it is more likely to jam it, but more about filament jams in a bit) or it will just stick around the nozzle of the extruder and collect there as a ball of plastics. In both cases you will need to clean the nozzle, but if it is outside it is easier, just make sure that you do it carefully as the printing nozzle is hot and it needs to be hot in order for you to clean it good, otherwise with the plastic solidifying it will be hard to properly remove it. In case the leveling process is not done properly and the printing head is too far from the build plate what will happen is the extruded thermoplastics will have a hard time sticking to the build plate. It may stick briefly, so that the printing process will seem to start normally and there will be a base of the model start forming, but soon after that you will see that the base had detached from the build plate. As a result you get a failed print and if the distance is a bit more it will most likely not even start to create the base of the model at all and will just place some lines of material moving them all around over the build plate. This is why it is very important that you carefully monitor the start of the printing process and if you notice that something is wrong to cancel it before it gets too late and some damage is caused. The good thing is that as the printing process moves the print head gets further away from the build plate, so the chances of a further serious damage to either of the too is less likely after the initial chance for this to happen. There are some people that often resort to extra tools to precisely measure the distance between the nozzle of the 3D printing head and build plate. This might be helpful if you manage to perform everything precisely and correctly, but it is not needed as there is a much easier way to do it pretty good. A good tip to help you properly adjust the distance between the build plate and the printing head’s nozzle is to use a piece of thin paper like a plain sheet of paper for your regular printer. If you put the sheet of paper between the head and the build plate it should be able to move just about freely without much effort in between. Then you can try to print something small and if need just do additional fine tuning up or down at a very small steps. Don’t worry in a bit of time and experience you will be able to do the build plate level adjustment without any external help all by feeling. So it is usually frustrating only at first, though the tip with the sheet of regular printer paper (just make sure it is not too thick!) should help save you some of that frustration when your 3D print just does not start properly. 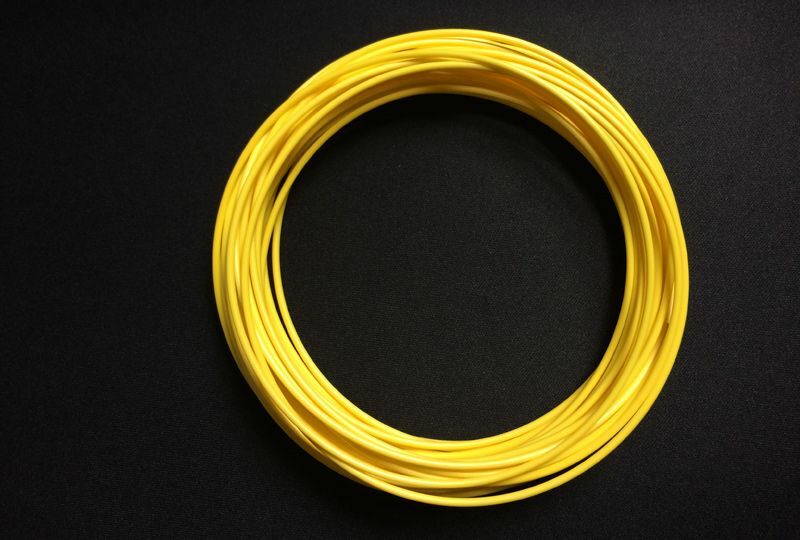 The filament material (the thermoplastic roll of wire) that the 3D printer uses to melt and build new things with getting jammed in the printing head is probably the second most annoying issue that new users face when they start 3D printing. There are many things that can cause a filament jam, so you need to figure out the exact cause and resolve it, so that you can avoid any further problems. 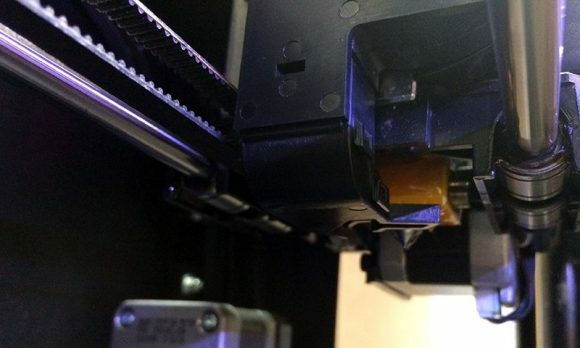 Doing that may require a bit of getting to know the hardware of your 3D printer up close and personal as you might have to disassemble some parts of the extruder in order to remove the jammed filament, though that is not always necessary. Do note that disassembling the printing head to resolve a jam may result in the voiding of the warranty of your device, unless of course it was a DIY model that you already build yourself. So do check your warranty terms before doing it and resort to disassembling hardware only if there is no other way. 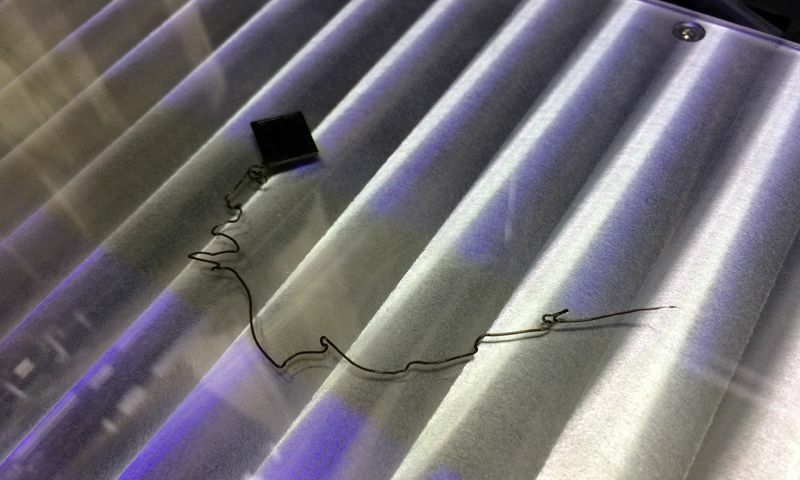 Alternatively you might send the whole device to the service center where a certified technician will fix the problem for you, but that usually takes some time and if you have to do it often just for something like a filament jam that you can fix yourself it gets annoying. Filament jams can be caused by a problem with the proper leveling of the build plate for example as I already explained in the previous section, but there are more causes for that as well. Another common cause for the filament to jam inside the printing head is if the printing settings are just not the right ones for the material you are using. 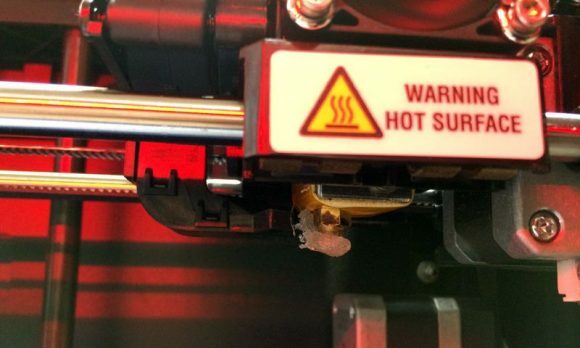 This usually happens if the temperature is not high enough for the filament material to properly melt and extrude, but could also be a combination between wrong temperature and speed of extrusion as well. The most common ABS and PLA filaments usually need about 230 degrees Celsius operating temperature for the extruded of the device, but if you try to print them at too fast or too slow speed you may still get a jam even with the right temperature. 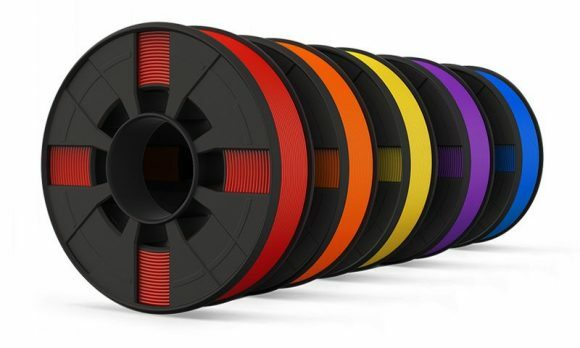 If you are using a more exotic filament like a flexible one or one that consists of thermoplastic material mixed with fine particles of something else (there are many more exotic filaments available already) you need to refer to the specific printing settings for that material. Usually these may need a different, lower or higher operating temperature, as well as they often require to be printed at slower than the usual printing speed to get a successful print. Sometimes even this may not work, even though you seem to have done everything that is needed, this could be as a result of having some sort of incompatibility between the hardware of the printer and the specific more exotic material… can happen as there are way too many strange filaments out there and way to many different 3D printers available. Usually softer flexible filaments and ones that are easier to break due to the specifics of their structure are causing most headaches to users. 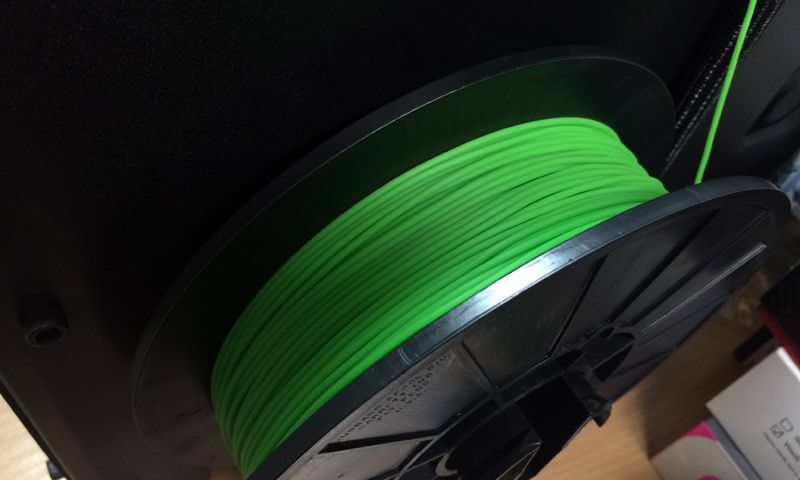 So what to do if you experience a filament jam? Don’t go disassembling your extruder yet, there are other things that you need to try first, opening it up is the last resort if nothing else helps. First you need to completely pull away the line of filament that gets into your printing head, make sure you do it with the printing head hot, so that it will actually come out. 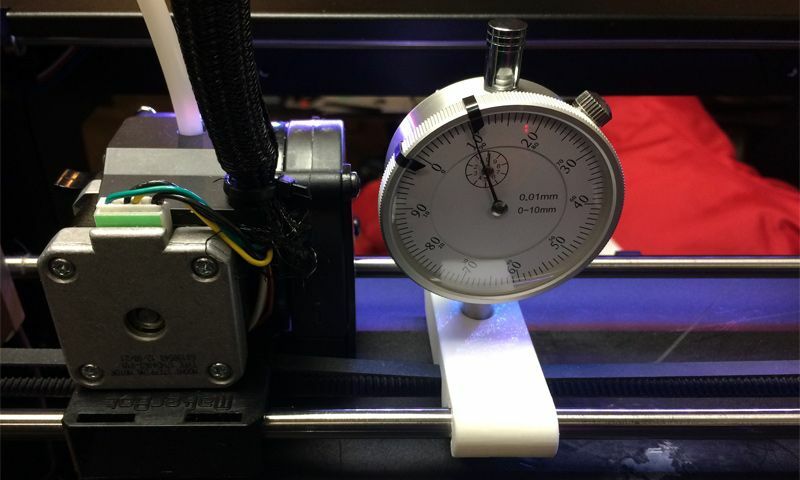 If the head is cold or even more than 20-30 degrees lower than the recommended operating temperature you may not be able to easily plug back the filament or not able at all. When you pull out the filament line from the extruder if you see a larger amount of material collected at the very front you might have already resolved the problem with the jam. 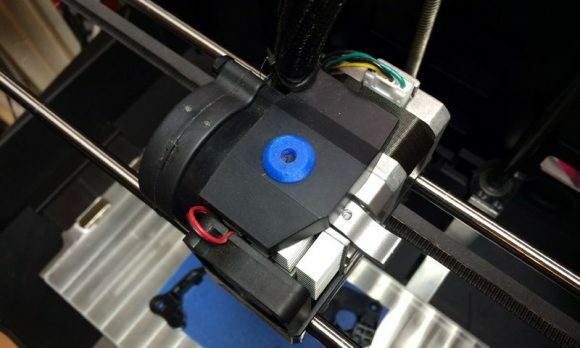 Just break away a part of the filament and try to insert it again and see if the printer will start up printing normally, make sure the printing head is already at the needed temperature when inserting the filament back to the printer. If the above tip does not help, then you might have to leave the printer with a hot printing head for a few minutes without any filament in order for any remaining filament inside to be melted, so that it can go through when you insert back the filament line and get pushed through. If that does not help of the filament line just does not want to get back inside the printing head all the way down to the extruder, than it might have broken somewhere and a part of it could still be inside the feeding mechanism. This usually requires the disassembly of the printing head in order to clean things up and then you need to reassemble things back carefully (or let a technician do this for you). Sometimes there is no need to disassemble the whole printing head to fix a filament jam, if the situation is a bad one you may have to just unscrew the printing nozzle, clean it up manually and then screw it back. This is much easier to be done, however note that since you need to do it with the printer operating with the nozzle hot you need to be extra careful not to burn yourself. 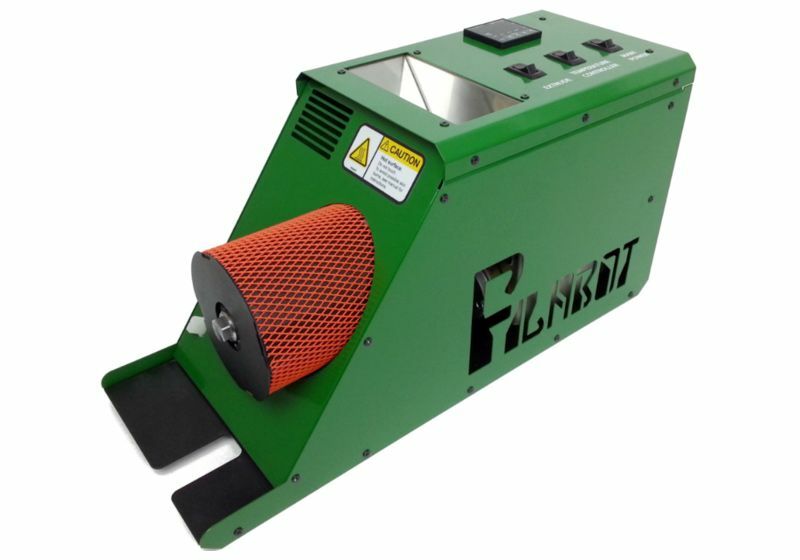 When you remove the nozzle you may need to heat it externally in order to be able to clean any filament from inside it. You will also get access to the heating chamber of the printing head and you need to check if there is some remaining filament that may also need cleaning before you reassemble things back. Here is another useful tip, always have a spare printing nozzle handy (make sure you get one that is made for your 3D printer as there are different models). Printing nozzles are not expensive and they do wear off with usage, so even if you don’t happen to damage it while trying to clean a filament jam, you may still have to replace it after a while of usage. 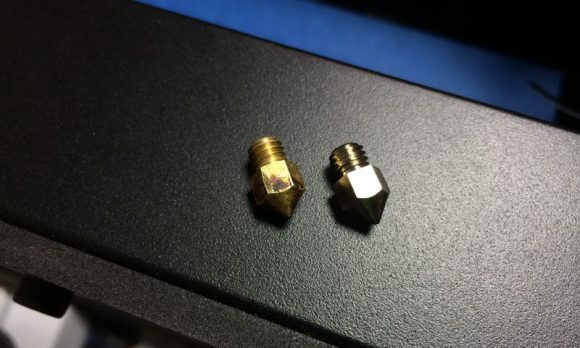 There are some companies making higher-end nozzles that do come with a special coating, these are also a good idea although they do come more expensive than a normal nozzle as they have less friction and last much longer. As a result of using a specially coated printing nozzle you may also reduce the chances of getting a filament jam and even if you still do, it should be easier to resolve it by just plugging out and reinserting the filament again. Ok, so you’ve already got a 3D printer and one of the coolest things you can actually do with it is to print yourself some additional parts and even upgrades for your device. These can improve your experience using the 3D printer, make the device less problematic or even improve the printing quality or the capabilities of the device, this can be especially true for some of the DIY models out there. The best thing is that you don’t have to play engineer or design something yourself since you are probably not yet ready for that anyway. You can just browse the parts that were designed by other users of the same 3D printer based on their longer experience with the device that you just got. Most of these are usually posted and freely available for download, a good place to start looking for is the official support forum of the printer manufacturer (if there is such) or websites where people share their 3D designs for free like on Thingiverse for example. You will be pleasantly surprised finding how many tweaks and upgrades are already available out there and many of them can be available to you in minutes now that you have a 3D printer to print them on. Of course there are also companies that sell more serious upgrades for various devices that you cannot just 3D print and install on your device. Upgrades for the electronics, stepper motors, printing heads, nozzles, bearings, build plates and so on and so on. 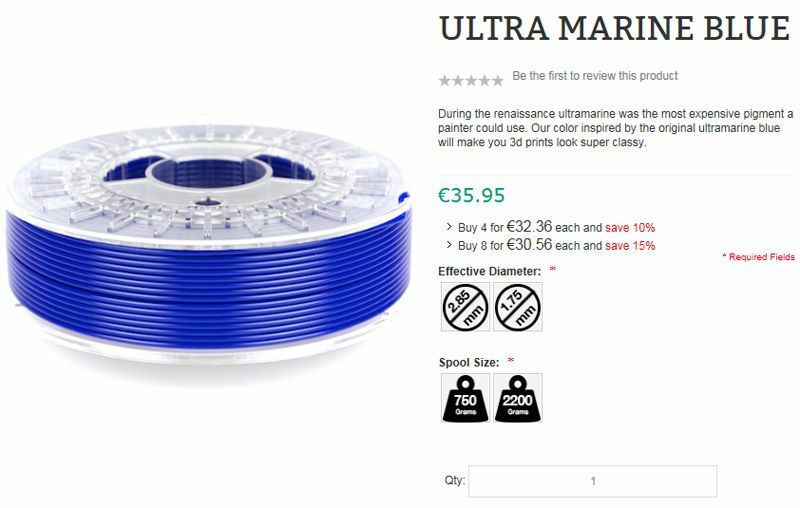 So looking around for such upgrades if they are recommended for your specific 3D printer model is also a good idea as you may also get extra features or better performance and reliability with some of these. One of the most common and actually useful aftermarket upgrades for 3D printers is the addition of heated build plate, if you got a device that does not come with such preinstalled. The heated build plate allows you to extend the range of materials you can use on your device such as being able to print with ABS filament for example and some other more exotic materials that will simply not stick well to a cold build plate. Using a heated build plate can also help your PLA prints to stick better to the base while they are printed if you might be experiencing issues with that. 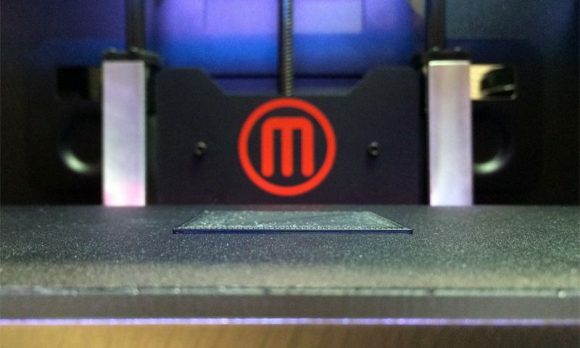 So the adventure in 3D printing does not end with you just buying a new 3D printer, it is just starting and there are a lot of things that you need to learn and explorer.